REC Archives - Solar Love! Home Tags Posts tagged with "REC"
The Norwegian company REC Group is now the third-biggest solar photovoltaic (PV) module supplier in the US residential market, according to recent reports. This follows a 5-fold increase in market share over the last year — following the imposition in the US of duties on Chinese solar PV providers. The company is reportedly expecting that its market share will continue increasing notably over the rest of 2015. The company — which utilizes vertically integrated PV manufacturing facilities in Singapore — currently possesses a ~14% market share (up from a 2.7% market-share in Q1 2014). The company is also the top solar PV supplier in the Californian market, which makes sense considering the direct shipping routes from Singapore. While some of the top solar leasing/sales companies in the US (SolarCity, Sunrun) are customers of REC, the company’s customer base is apparently much more diverse. “We know all the big solar residential installers and have worked with them,” stated Lutz. The company’s relatively new TwinPeak offering shows that part of the recent success has been down to technological changes as well — as the offering was a winner of the recent Intersolar Award in the Photovoltaics category. 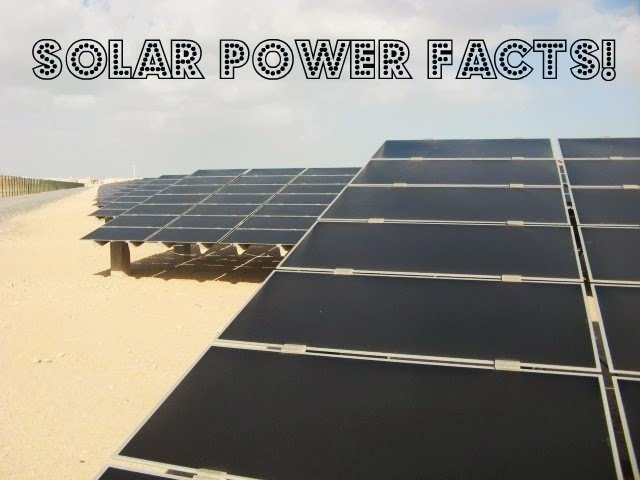 It offers 15–20 watts of generation capacity more than most similarly priced multi-crystalline modules. According to Lutz, the aim is for TwinPeak to comprise roughly half of the company’s offerings into the US residential market for the time being. As of the second quarter of 2015, around 50% of the company’s business is now in the US. Regardless of REC’s ability to capitalize on the recent tariff imposition, the two top companies in the US residential market are still Chinese ones — Canadian Solar and Trina Solar. The Silicon Valley Toxics Coalition (SVTC) moments ago released its annual Solar Scorecard. I had the opportunity to talk with Sheila Davis, Executive Director of the Silicon Valley Toxics Coalition, last week in advance of the official release. Below are some key notes from the official release and from my chat with Sheila. Unfortunately, one of the main general findings from the latest SVTC study is that “most of the solar industry’s environmental practices remain hidden from the public.” If you’re not familiar with the SVTC Solar Scorecard, that openness has been a major focus up until now. Not a great response and not great openness from the solar PV industry. Sheila emphasized on that call that, even if the companies chose not to respond to the survey, they should have some basic information about their solar practices on their websites. I’d agree, and it’s disappointing to find out that many of them aren’t doing so, including some major players. Three of the top 40 PV manufacturers (REC, SolarWorld, Yingli) share with the public extensive chemical emissions disclosure and reporting. Twelve of the top 40 PV manufacturers post annual hazardous chemical reduction targets on their websites or in sustainability reports. The number of companies with fully funded Extended Producer Responsibility (EPR) schemes in the PV industry dropped from one to zero. First Solar, the only major company with a fully-funded EPR program for the last three years, has eliminated its EPR program in most of its US-based sales. 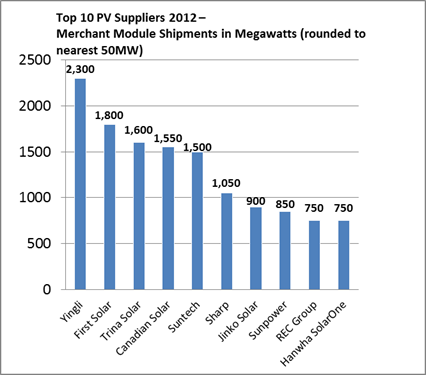 Trina Solar (77), Yingli (75), and SunPower (69), earned overall top scores for 2013. SolarWorld and REC earned the highest scores for sharing information about their emissions with the public. Additionally, Sheila noted that leading solar manufacturers JA Solar, Jinko Solar, and Hanwha SolarOne didn’t reveal any information regarding their environmental or social practices. Furthermore, these companies scored in single digits (from a possible 100 points). That means that SVTC’s researchers couldn’t find the answers on the companies’ websites to almost any of the environmental questions from its Scorecard questionnaire. Pretty lame…. Sheila was clear on the call that she sees solar as one of the key solutions to our various environmental crises (such as global warming). However, being “green companies” by nature, these solar manufacturers should also be leading in other environmental and social ways, and they should be open about the environmental and social effects they are having. Clearly, this isn’t the story. US-based solar module company SunPower has apparently taken the first, second, and third spot in PHOTON International’s 2012 solar module yield test. The company’s SPR-327NE-WHT-D module came in first place with an annual yield of 1,144.1kWh per kW. The performance ratio estimates 95.2% according to a theoretical approach of 1,202 kWh per kW output. Two of the company’s other modules achieved performance ratio values of 94.9 and 94.8% respectively. Chinese manufacturer Seraphim Solar System ranked fourth place with its SRP-220-6PB module, with a performance ratio of 93.6%. Last year’s winner was the REC230AE module made by the Norwegian manufacturer Renewable Energy while this year the module came in 27th out of 151 modules tested. REC’s module performance ratio has increased from 90.8% in 2011 to 91.4% in 2012 due to favourable weather conditions. 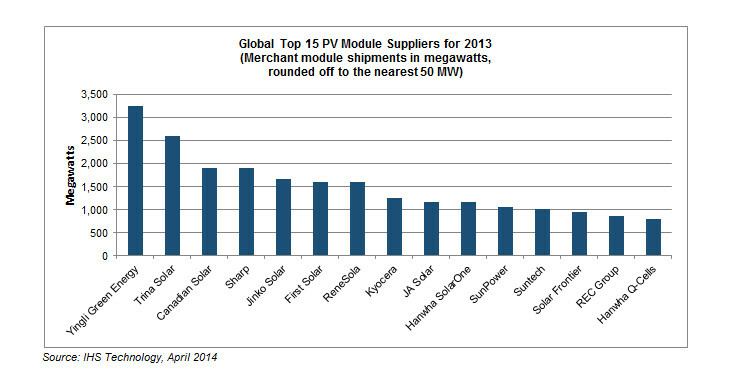 Overall, efficiency of solar modules seems to be improving. In 2012, 109 different modules tested better than in 2011. 72 solar module models received a performance ration over 90%.